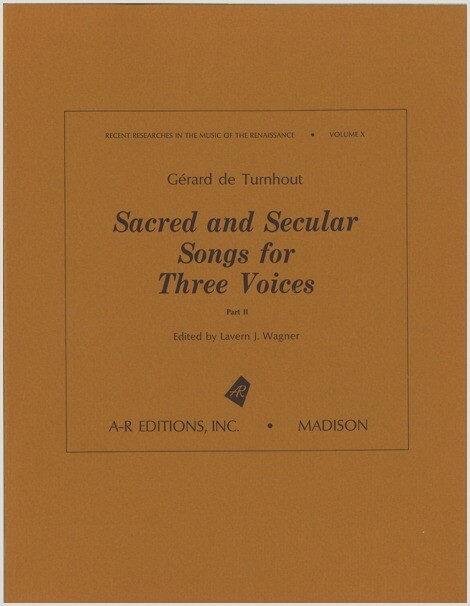 This edition presents the only surviving collection of works by the little-known Flemish composer Gérard de Turnhout (1572–80), his Sacrarum ac aliarum cantionum trium vocum (1569). Containing This collection of Latin-texted tricinia is one of the largest collections of three-voice pieces published during the Renaissance. Albert Seay, Notes, June 1972.